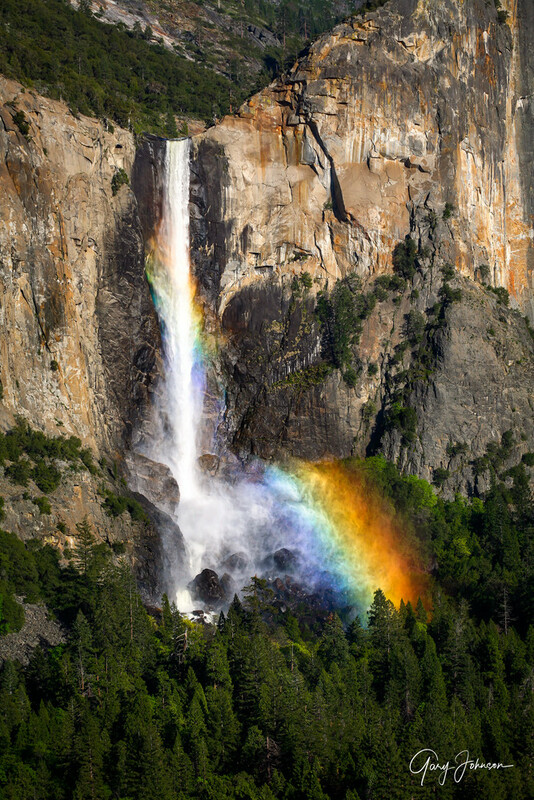 "Bridalveil Fall Rainbow" was photographed during the month of May from the Old Big Oak Flat Road of Yosemite National Park. This road was the only route into the valley from the north but was closed in 1945, due to rock slides, and never reopened. The trail is very rough to hike but eventually gets to the overlook, where I took this picture. From that vantage point, the afternoon sun creates a perfect view of the falls with a rainbow!